Kerim Munir, M.D., MPH, D.Sc. is Director of Psychiatry in the University Center of Excellence in Developmental Disabilities at the Boston Children's Hospital. He is Society Fellow in Global Health in the Scholars in Medicine Program and Associate Professor of Psychiatry and Pediatrics, Harvard Medical School. He completed his medical studies at University College London as a Commonwealth Scholar and trained in General Psychiatry at the Massachusetts General Hospital and Child and Adolescent Psychiatry at the McLean Hospital, Harvard Medical School. He holds a doctorate in maternal child health and psychiatric epidemiology from the Harvard T.H. Chan School of Public Health. His research focuses on developmental psychopathology and epidemiology. 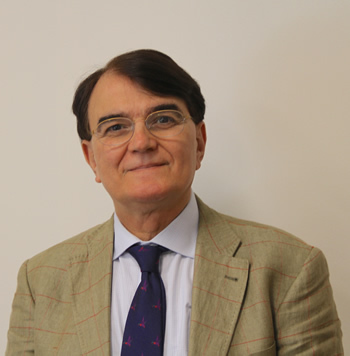 He is PD/PI of the Fogarty/NIMH D43 Non-Communicative Diseases (NCD) Across the LIFESPAN Global Mental Health and Neurodevelopmental Disorders (Turkey/Azerbaijan) and Fogarty R25 Research Bioethics Initiative (Turkey/C. Asia) research training programs. During the tenure of the Fogarty ICOHRTA D43 research training program he directed peer reviewed publications in child mental health from Turkey that topped all LMICs. He led the Psychosocial Schools Intervention Project in the aftermath of the 1999 Marmara Earthquakes in Turkey under UNICEF. He was the principal author of the first National Mental Health Policy of Turkey sponsored by the World Bank. He served as a member of the WHO Review Group for the new definition of Intellectual Developmental Disorders in the ICD-11, adopted by the DSM-5. He has been the US research partner (HIC) on a Grand Challenges Canada study of identification of children with neurodevelopmental disorder (0-36 months) in the National Program of Immunization, Lagos, Nigeria. He was the Chair of the Autism Forum, World Innovation Summit in Health (WISH) held in Doha, Qatar (2016). He is the recipient of the Klaus Peter Award in International Medical Education from Harvard Medical School, the International Award for contributions to Research Capacity Development by the Turkish National Child and Adolescent Psychiatry Association (2008), the George Tarjan Award in Developmental Disabilities by the American Academy of Child and Adolescent Psychiatry (2011), and the T. Berry Brazelton Award in Pediatric Innovation by the Boston Children's Hospital (2013). He is currently Chair of the Section of Psychiatry of Intellectual Disability in the World Psychiatric Association and Vice-President of the International Association of Child and Adolescent Psychiatry and Allied Professionals.